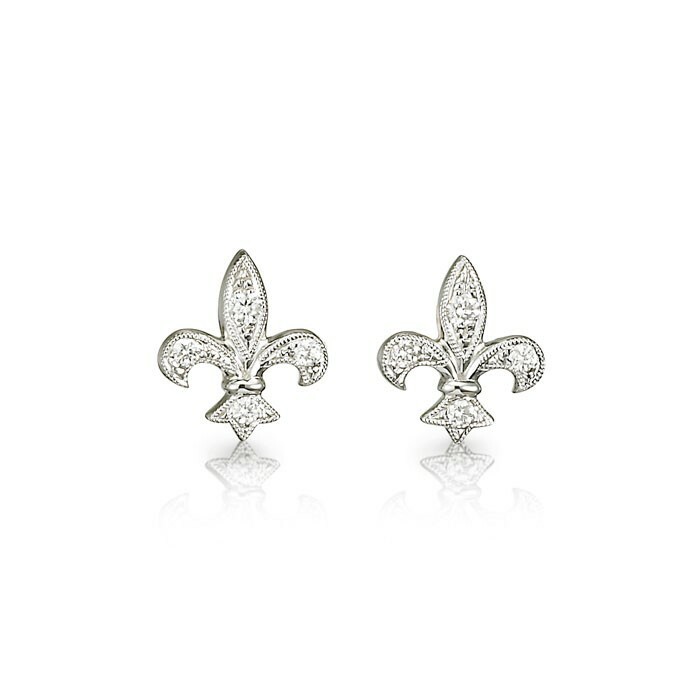 The Fleur-de-Lis, France's famous stylized lily, reaches brilliant new heights with 8 fiery round diamonds and 18-karat white gold. A true classic for any era. Approximately 0.20 carat total diamond weight per pair. Post back.